“The 8th edition of the Germán Bernácer Prize has been awarded to Prof. Markus Brunnermeier (Princeton University) for his important research on explaining the emergence and persistence of asset price bubbles, the causes of liquidity crises in financial markets, and the implications of these phenomena for risk management and for financial regulators”. 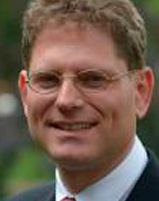 Markus Brunnermeier (Germany) holds the Edwards S. Sanford professorship at Princeton University. He is a faculty member of Princeton’s Department of Economics and director of the Bendheim Center for Finance. He is also the founding and former director of Princeton’s Julis Rabinowitz Center for Public Policy and Finance and affiliated with the International Economics Section. He is also a research associate at NBER, CEPR, and CESifo.His research focuses on international financial markets and the macro economy with special emphasis on bubbles, liquidity, financial crises and monetary policy. He got his Bachelor Degree in at the University of Regensburg and his Master Degree at Vanderbilt University and in 1999 he obtained his PhD in Economics from the London School of Economics (LSE). In 2010 he received the Guggenheim Fellowship for studying the impact of financial frictions on the macroeconomy and in the same year he also got the Econometric Society Fellowship for outstanding contributions in the fields of macroeconomics and finance. He has published widely cited papers in leading journals like American Economic Review, Management Science, Quarterly Journal of Economics, Review of Finance, Review of Financial Studies, etc. The award ceremony took place in Madrid on June 10th, 2009.